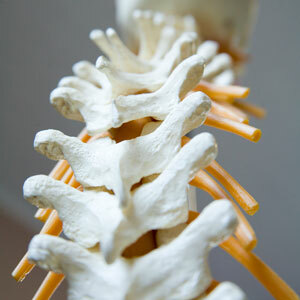 Chiropractic is founded on the philosophy that the body is self-maintaining, self-developing and self-healing. All bodily functions are regulated by the nervous system, and chiropractic care supports normal function of the nervous system by removing interference. Things like trauma, chronic imbalances, and abnormal stress interfere with normal neurological transmission and result in a condition known as vertebral subluxation. Science has shown that chiropractic care corrects vertebral subluxation by restoring motion leading to decreased inflammation and improved nerve flow. As a result, many people experience pain relief as well as improved overall function. This advanced system for analyzing and correcting interference (vertebral subluxation) in the nervous system uses digital video motion x-ray and infrared thermography with drop-table and instrument-assisted adjusting. Chiropractic care may help moms-to-be find relief from typical back and pelvic pain during pregnancy and experience pregnancy and labor with greater ease. Dr. Connor is certified in Webster technique, which helps releases tension in the pelvis by relaxing ligaments and reducing sacral subluxation. Did you know that the birth process can be traumatic for a child, even in the case of a natural birth? The spine can be stretched and twisted causing nerve interference and affecting normal growth and development. Using about the same pressure as the weight of a dime, a very gentle chiropractic adjustment can remove nerve interference and restore function. Because of their age, children often respond quickly to chiropractic adjustments and require only periodic examinations to make sure that their spine and nervous system are developing normally. Many children even develop stronger immune systems as the result of chiropractic care because the body can mount a more successful defense against disease with a clear nervous system. Chiropractic care can help creatures great and small function more optimally. As with humans, the nervous system controls all bodily functions, and stress on their nervous system causes nerve interference leading to irritation, dysfunction, and disease. Animal chiropractors receive specialized training and certification through the American Veterinary Chiropractic Association (AVCA), and they work very closely with veterinarians to provide comprehensive care. Dr. Natalia LaVallie of Barnyard Chiropractic provides chiropractic care for animals in our clinic on Tuesday and Thursday from 10am to 1pm. Please contact her directly at 630-394-4228 to schedule. At Greater Good Chiropractic Care, our goal is to effect positive change by removing the underlying cause of disease using specific, neurologically based chiropractic techniques. If you’d like to experience the benefits of chiropractic care, contact Greater Good Chiropractic Care in St. Charles today to book an appointment.